Fresh off the release of the CDJ-700, Gemini is wasting no time trying to capitalize off the huge industry buzz it has received. Introduced directly from the NAMM 2012 floor the new Gemini CDJ-650 media player which is a compact version of the CDJ-700 that also plays music from CD's, USB interfaces, and can work through a computer USB connection as a full out MIDI HID controller. Check out the full video sneak peak directly from the NAMM show after the jump. Fresh off the release of the CDJ-700, Gemini is wasting no time trying to capitalize off the huge industry buzz it has received. Introduced directly from the NAMM 2012 floor the new Gemini CDJ-650 media player which is a compact version of the CDJ-700 that also plays music from CD&apos;s, USB interfaces, and can work through a computer USB connection as a full out MIDI HID controller. Check out the full video sneak peak directly from the NAMM show below. Within the confines of the Gemini DJ Booth at this year's 2012 Atlantic City DJ Expo, we were treated to a full rundown video of the newly released Gemini CDJ-650. The CDJ-650 is the smaller and more compact version of the CDJ-700 while still giving DJ's lots of features at an even better price-point. 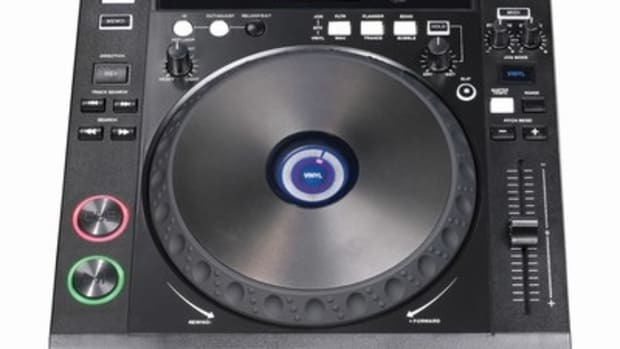 The CDJ-650 has a slightly smaller color screen with smaller, but still responsive jog wheels. We're getting one for a full HD-Video review, but check out the rundown video straight from Gemini after the jump. Last month we brought you the Full HD-Video review of the all-new Gemini CDJ-700 Multi-Media player with MIDI control capabilities. 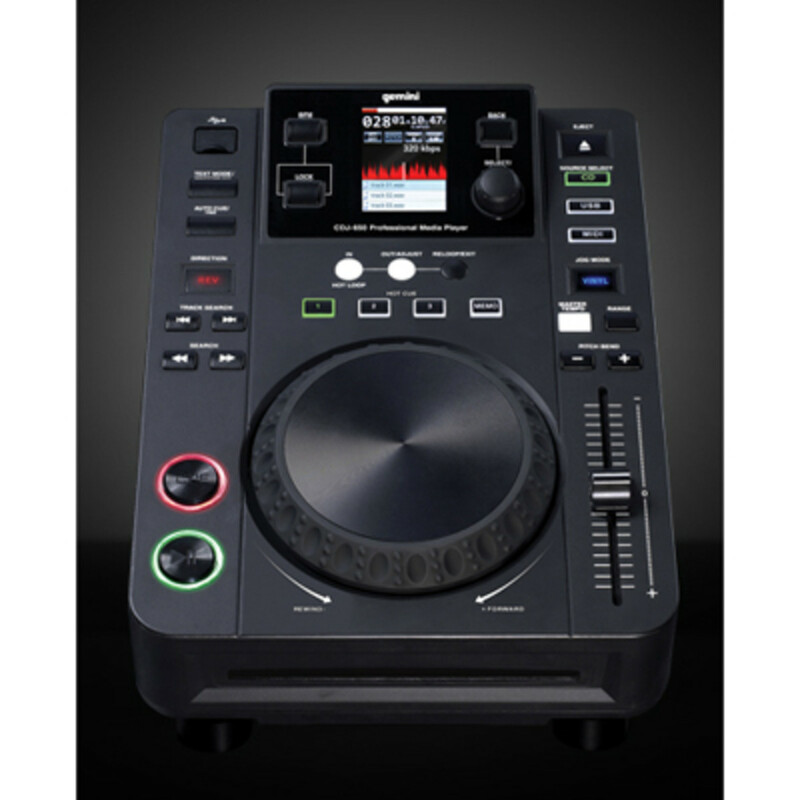 This affordable and diverse piece of machinery is suitable for all types of DJ's in many different media file playing formats as the CDJ-700 is able to play music from SD cards, USB drives, CD's, and through DJ software playback. Gemini DJ has just released the official product video, so we thought it might also be a good time to shoot you the link to the review once more just in case you missed it the first time. Videos inside. We've been patiently waiting about a year now for Gemini to unveil it's newest CDJ unit for the masses. Wait no more as the Gemini CDJ-700 Multi-media player is now available on store shelves for all to own and use. On the heels of this announcement, Gemini decided to lend us a brand new review unit to put it through its paces. The full HD-Video review is coming shortly, but check out the unboxing and first impressions video in the meantime to see a quick product rundown. The New Gemini CDJ-650 multi-media CD deck is now available for purchase worldwide. A few months ago we brought you the full HD-Video review of the new Gemini CDJ-700 and we were surprised at its versatility and its overall quality of use during playback. The Gemini CDJ-650 is the little-brother version of the CDJ-700 that basically has all the same features, but shrunken down into a more compact form-factor with a lower price. Check out the press release inside. While we were over at the Gemini Booth at the 2012 Atlantic City DJ Expo we were treated to the CDJ-650 rundown video and we were also given a full rundown video of the new CDMP-7000. 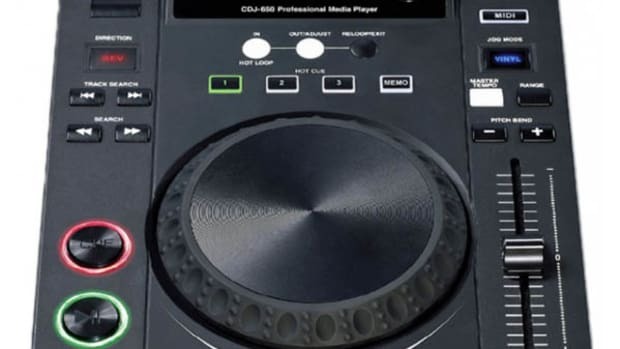 The Gemini DJ CDMP-7000 can work as a MIDI controller, a stand alone mixer, or independent CDJ-700's with their own dedicated Line level outputs. The Mixer can be used on its own and so can the decks. Basically what we have here is a full 3-channel mixer with two CDJ-700's mashed together into one unit. Check the rundown video after the jump. Gemini DJ Division was at this year's Atlantic City DJ Expo to show us their new CDJ lineup and their CDMP all-in-one DJ units. The new CDJ-650 was on prominent display as well as the new CDMP-7000 digital DJ controller and standalone multi-media mixing console. I'll have rundown videos of both the CDJ-650 and the CDMP-7000 posted before the end of the day. For now, check out the entire Gemini DJ Booth on the Expo Floor in case you missed it. Gemini DJ Division has just released new firmware updates for the CDJ-700 and CDMP-2700. The new firmware updates has a nice list of new improvements that will make current and potential owners rejoice. We reviewed the CDJ-700 and thought it was a pretty tight unit. The new upgrades should make it all work even tighter with better Jog wheel and vinyl effect latency improvements plus a whole lot more. Check out the full list of improvements and the link to get your unit updated today. Gemini CDJ-700 & CDMP-2700 Now Shipping! After lots of anticipation and a couple delays, the Gemini CDJ-700 and CDMP-2700 Multi-Media players and controllers are finally shipping to market! The Gemini CDJ-700, which I used at last year's Atlantic City DJ Expo, promises to change the game with its Pioneer-like operation, full-color touch-screen display, full MIDI capabilities, and the ability to play almost any audio format. 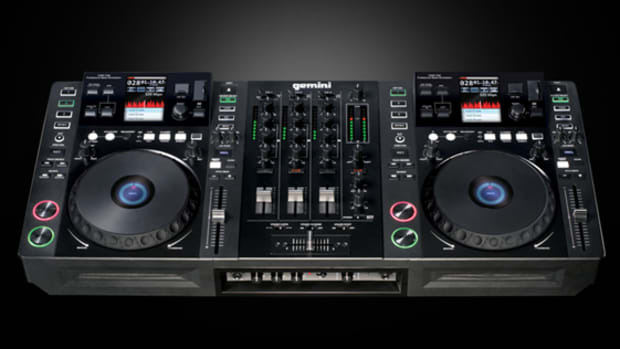 The Gemini CDMP-2700 is a compact rackmout DJ solution that would fit the Mobile DJ game like a glove. See the press release and links inside.